On a lovely moonlit night, while carrying a gift of mice to a litter of kittens, Joe Grey stumbles upon a murder scene. Behind an empty house, in an empty swimming pool, there's blood, the smell of human death, and drag marks. But there's no victim-and it's hard to prove a crime without a corpse. Driven by stubborn feline curiosity, Joe Grey sets out to investigate. With Dulcie and Kit following him along a killer's trail, Joe discovers evidence of conflict among the residents of this seemingly peaceful neighborhood: multiple signs of breaking and entering, with nothing of value stolen. And they find something far worse: hints of violence yet to come-and more planned murder. 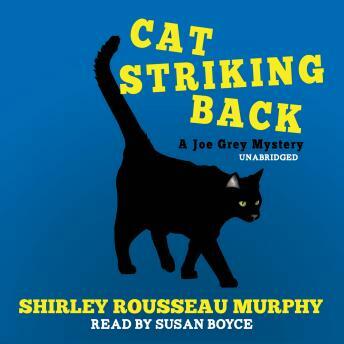 With the help of local ferals, Joe, Kit, and Dulcie must now thwart a killer using the most unorthodox means at their disposal: a criminal's unnatural yet powerful fear of cats.